“Walmley and Beyond the Wood” was one of the five administrative “Quarters” of Sutton, and lay in the south-eastern corner of the town. 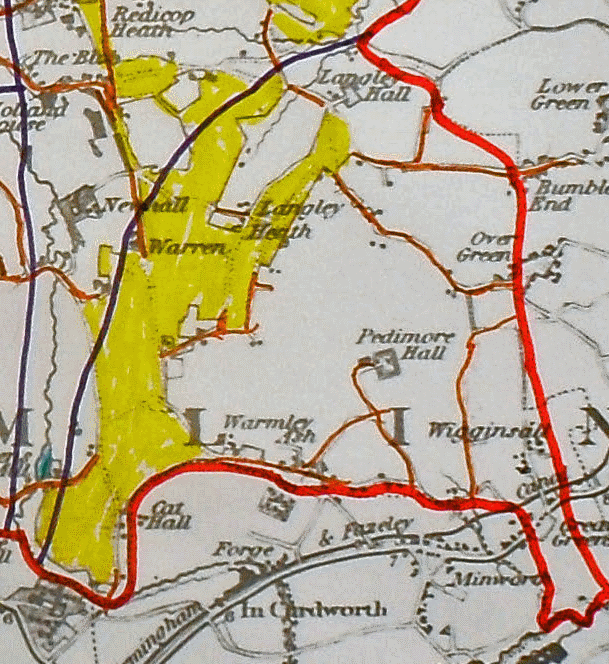 Sometimes it was treated as two separate locations, Walmley including Pedimore to the south, Beyond the Wood extending from Langley to Wigginshill and Greaves. This quarter was cut off from the rest of Sutton by a stretch of common land on either side of Walmley Road and Springfield Road, so it is tempting to think that this was once a belt of woodland, giving rise to the “Beyond the Wood” name. However, the name is very ancient, appearing in old documents in its Latin form, Ultima Silva, so the woods in question were more probably the Manorial woods mentioned in the Domesday Book (1086), and these woods were in the New Hall Valley. Walmley and Beyond the Wood quarter was sparsely populated, in spite of having a number of very ancient, probably pre-conquest, settlements within its bounds. These were Walmley (in Walmley Ash Lane), Greaves (on Kingsbury Road), Wigginshill, Over Green and Bumble End - these last two were partly in the neighbouring parish of Wishaw. These settlements were all sited on the edges of the quarter. The centre was open country in 1100, then in the next century the Earl of Warwick granted estates at Langley and Peddimore to two powerful families, the De Berefords and the Ardens, where they built the moated mansions which served as their principal seats. The Earl of Warwick allowed the rest of the land to be brought into cultivation in the thirteenth century. There are other moated sites in this quarter, at Walmley Ash and Hurst Green, and two at Over Green. There were 44 households in this quarter in 1663, mostly engaged in farming, even the seven gentry families and two blacksmiths having some farmland. 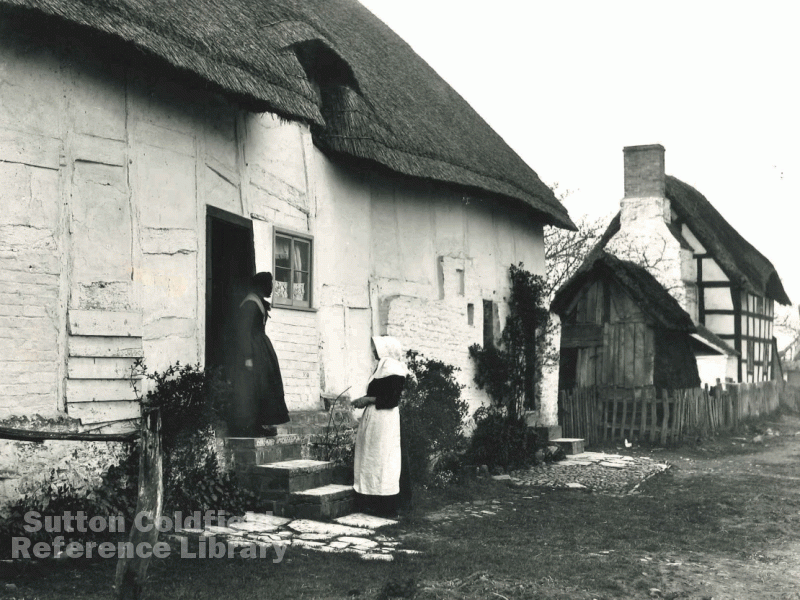 Most of the area is still rural today, comprising part of Sutton’s green belt, but change came when the commons were enclosed - new roads were laid out, and Walmley Village was established on the barren heathland. In 1856 the quarter ceased to have any administrative meaning, as the area was subsumed by the new Walmley Parish; the land south of Kingsbury Road was purchased by the Birmingham Tame and Rea Drainage Board in 1898 and became a huge sewage works, and a boundary change of 1923 extended the town’s boundary to include Minworth; but the rest of the area has seen little change from its rural past.